This traditional house is an ideal getaway for unforgetable vacations.It is located in Derveni,a seaside village in Peloponissos,141km away from Athens.The village has about 1500 residents and all the houses there are built with stone and wood.The house is located on the seaside and from the balcony you can see the sea under your feet! Inside the house you can find a living area,a traditional fireplace built with stone,a dining table of 4 people,a fully equiped kitchen,a bathroom and two bedrooms.The first bedroom has a double size bed and the second has two single beds.A baby crib is also available. But the unique advantage of this house is that it is built on the seaside of the village,as most of the houses there.From the balcony you can see the sea just below your feet!A breathtaking and unique view of the blue waters,makes this house the perfect accomodation for the most peaceful vacations. 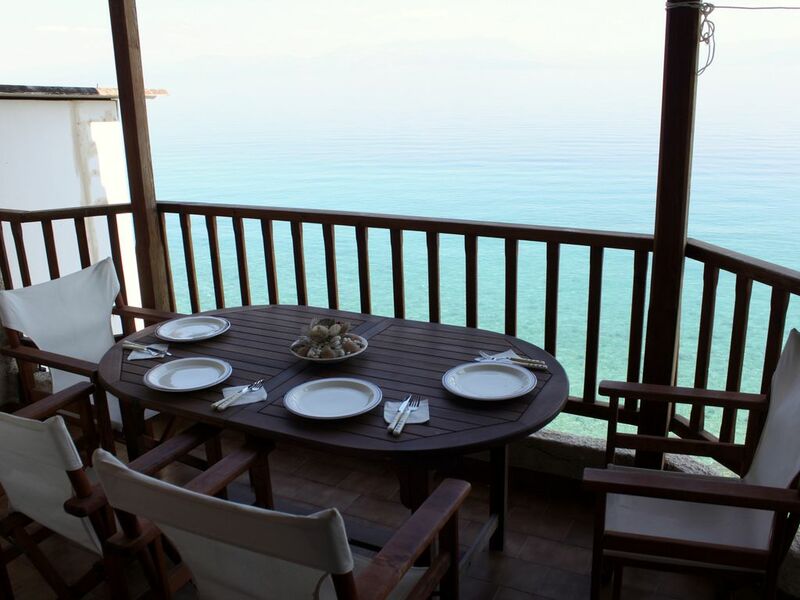 Derveni is an ideal place for family vacations and it is located between the beautiful Corinthian sea and the mountains,so you can enjoy both.It is a perfect destination for those who like to visit nature but search for nightlife too. Derveni is a traditional village built in the 19th century and it is located 140 km away from Athens.You can travel there by car and it takes about one hour and fourty minutes from the capital. We would like also to inform you that Home Rentality provides transfer services, 7 days a week. Pick-up transportation is available upon arrangement and the payment is done directly to the driver. Feel free to contact us for further details. We are a construction firm based in the beautiful and vivid neighborhood of Metaxourgio, Athens. We love construction, properties and tourism and this made us a partner of Home Away. We are happy to host you in our listings, let you choose among the best and the most appropriate place for your vacation and showing you the famous greek Philoxenia (=hospitality). Free portable Wifi until 10Gb, for more data, you can add another 10Gb at an extra cost of 10€.